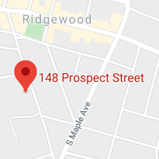 There are several reasons why Precision Orthodontics is the best choice for orthodontic treatment in the Bergen County area. With so many practices to choose from, we set ourselves apart by offering personalized patient-focused care in a modern and comfortable environment. We're exceptionally friendly and caring. We want your whole treatment experience to be comfortable, positive and rewarding from the very beginning to the end. Our goal is to build a long, trusting relationship with our patients and families. We want our patients to feel at home with us. Our patients are like family, and we treat each one of our patients as we would treat our own loved ones. Each and every patient’s treatment and needs are unique, so we make sure to address all concerns and questions so we can deliver the best individualized, personal care. We believe in providing the best care possible, which means recommending the right treatments at the right time. Not every patient is ready for treatment, but for our young patients in need of treatment, we do offer early interceptive treatment. Treatment will only be advised when it is necessary. Dr. Duong is a solo practitioner, so our patients know who they’ll be seeing at every appointment. Dr. Duong remembers each of his patients and is interested in hearing about their personal lives. Our patients never feel like just another set of teeth. Smiles That Fit Your Lifestyle! Excellent orthodontic care should still be affordable. 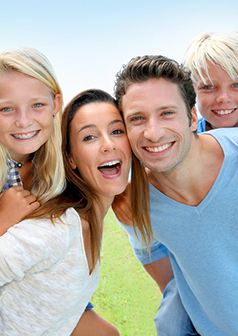 Custom payment plans make orthodontic treatment available to everyone. We accept most forms of insurance and our friendly office staff will help you make the most of your coverage and answer any financial questions you may have. We are flexible with appointment times and offer early morning hours and late evening hours for the convenience of our patients. There is 24/7 emergency coverage, and calls are always answered and returned promptly. Dr. Duong loves practicing orthodontics and has hired only the most qualified staff to assist him. In addition, everyone takes part in continuing education to constantly improve the practice. Our office is brand new and outfitted with the finest equipment. We’re not all work though! Our practice is a fun place to be, and we do everything we can to make sure patients enjoy each office visit. Our patients can watch TV, play Wii or just relax in our cool, colorful, modern office.